OrderPaperToday – A member of the Kwara State House of Assembly, Saheed Popoola has debunked media reports credited to him alleging that Kwara Assembly Members received N15 million each as bribe to defect to the PDP. The Member, who represents Ojomu/Balogun Constituency on the platform of the All Progressives Congress, made the denial on the floor of the House, following a Matter of Urgent Public Importance raised by the Member representing Kaiama/Kemanji/Wajibe Constituency, Ahmed Ibn Mohammed, on the said report. In his response, Popoola stressed that he never made the statement and challenged anybody with proof of where and when he made the allegation against his colleagues, to present such evidence. Speaking further, he submitted that as the only member who didn’t defect to the PDP from the APC, some people were seeking to use his name to tarnish the reputation of the House. 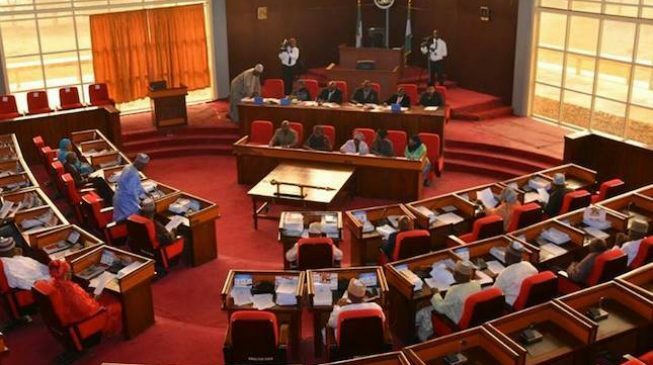 He, however, commended his colleagues and the Speaker for displaying maturity over the issue which, he noted, may have led to his suspension in some other State Houses of Assembly. Other members who spoke on the matter also debunked the bribe allegation, insisting that their defection was based on their belief that the APC is not responsive to the yearnings and aspirations of citizens. Responding, the Speaker, Ali Ahmad, insisted that he would not suspend any member or declare their seat vacant for not defecting to the PDP, as it was the case in some APC-dominated State Houses of Assembly.